Year 1998 HENGDA DITIGAL & TECHNOLOGY Co., Ltd.
Year 2002 KAIDA DIGITAL & TECHNOLOGY Co., Ltd. The reputation of profession starts to attract the interest of Chinese traders. Japanese Technician for his technical consultation. Year 2002 JIAHAO COPIER MATERIAL Co., Ltd.
HYB to develop and give depth research into the toner. Year 2008 ZHUHAI DIOR INTERNATIONAL TRADING Co., Ltd.
to attend the International exhibition like Remax. 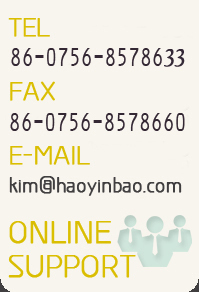 Year 2010 ZHUHAI HAOYINBAO PRINTING COMSUMABLES Co., Ltd.
Recharge Russia, Reciclamais Brazil, RECHARGE ASIA Indonesia etc. Year 2003 HAOYINBAO COPYING MATERIAL Co., Ltd.
AEC IMAGING MATERIAL Co., Ltd.
South East Asia, Middle East, Africa and East Europe via Chinese trading companies. 3 more senior Engineers were hired to strengthen R & D department of toner products. Year 2011 HENAN HAOYINBAO IMAGING MATERIAL Co., Ltd.
New project of HYB Toner: total investment of 600 million CNY in Yuzhou for the new plant of toner.